Finally a Pore Shrinking Skin Regime that WORKS!! I’ve always been blessed with pretty good skin, until about a year ago when I accidently stripped the top layer away with a product I was allergic too…oops! Anyhow for over a year I’ve not been able to cleanse as I would like to because my skin gets red, angry and peels…booooo! As a consequence my pores could be seen from outer space! So last week I had enough, bit the bullet and launched myself into a pretty full on skin care regime, and I am happy to report that my skin is more even in tone, less red, brighter, more supple and the best bit…my pores have shrunk by about 50%…can I get a hell yeah! So heres what I’m doing incase you want to try it. Please remember that I am no skin care expert and this regime is for my skin type which is dry, sensitive and red. 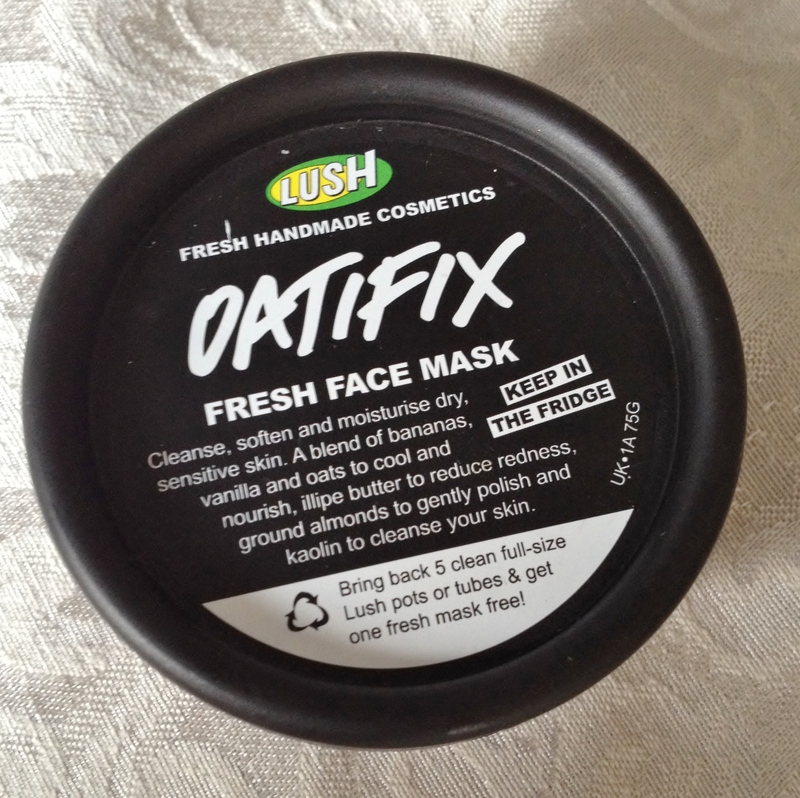 Oily skin girls and boys beware, this may be overkill and break you out! Also sensitive skin club, be sure to incorporate your products slowly and one at a time to ensure you know what you’re reacting to should you have any problems. When it comes to blocked pores you can get a million different remedies but the best starting point is to cleanse properly twice a day. If after say a month of doing this there has been no improvement in their size then you may need a pore refining treatment. I’m opting for The Double Cleanse secret as per this month’s Elle magazine. Now this is something you have to weigh up carefully, over cleansing can be detrimental and may cause a reduction in the natural oils and lead to dryness. For me however it is working a treat. So what do you do? Apply your chosen cleanser to dry skin, massage with a little water and then remove with a muslin cloth. 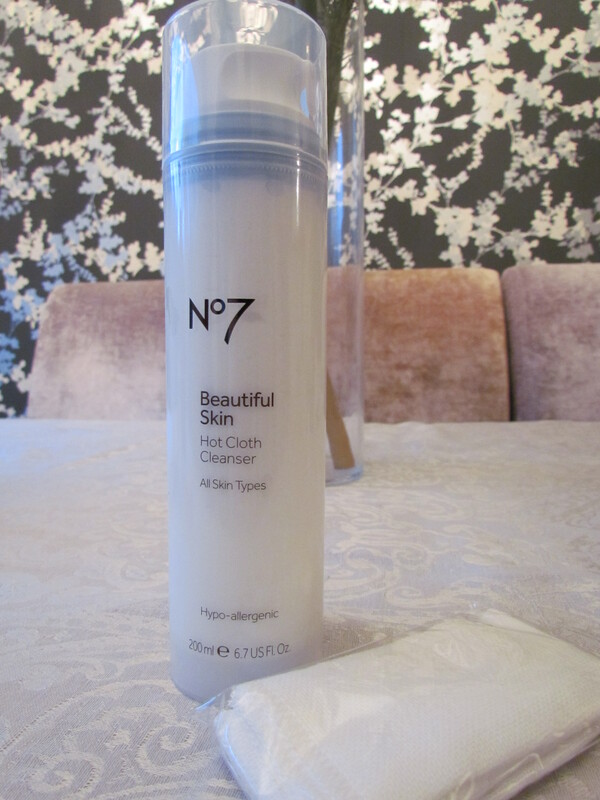 For this step I am using No7’s Beautiful Hot Cloth Cleanser. Look out for my upcoming comparison to the Liz Earle version. The next step is to repeat again for a deeper cleanse. 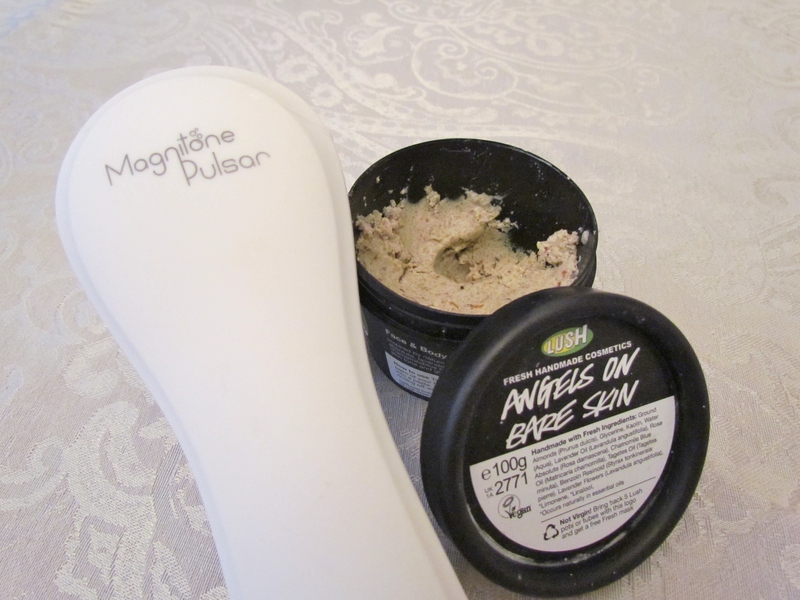 I however am using my Magnitone cleansing system with LUSH’s Angels on Bare Skin. The combination of these two is causing my gentle LUSH product to penetrate deeper, therefore helping to; unblock the pores, exfoliate, resurface and brighten the skin. You may have noticed that I have missed out applying a toner. For me toners are just not working out. Yes there are lots of amazing products out there that are nourishing and kind to the skin. Gone are the days when they would strip your skin, this however is of no consequence for me. I have never found one that works for me, if anything it just adds to my issues. I have gone straight onto my serum stage. Now I’ve tried a lot of serums and find that they are incredible for helping to lock moisture into my extra dry skin. 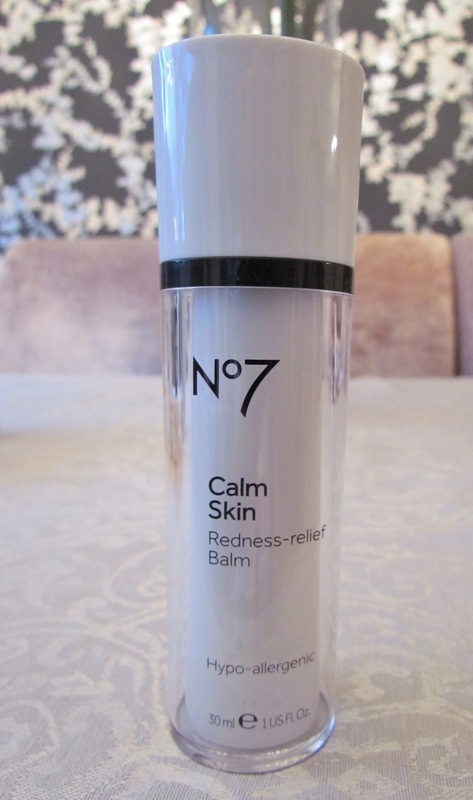 I am currently using No7’s Calm Skin Redness Relief – Balm. This product is getting incredible reviews. It claims to make skin more comfortable, even looking and less reactive in two weeks, and you know what guys…it’s already working! Look out for a review coming soon. I have been going back and forth with moisturisers as some of you may have seen. I have been desperately trying to find a lightweight moisturiser that will hydrate my skin. The idea being that the less oils I put on the less blocked my pores will be. I have however been unable to stick with a lightweight moisturiser as my skin just tightens and cracks. 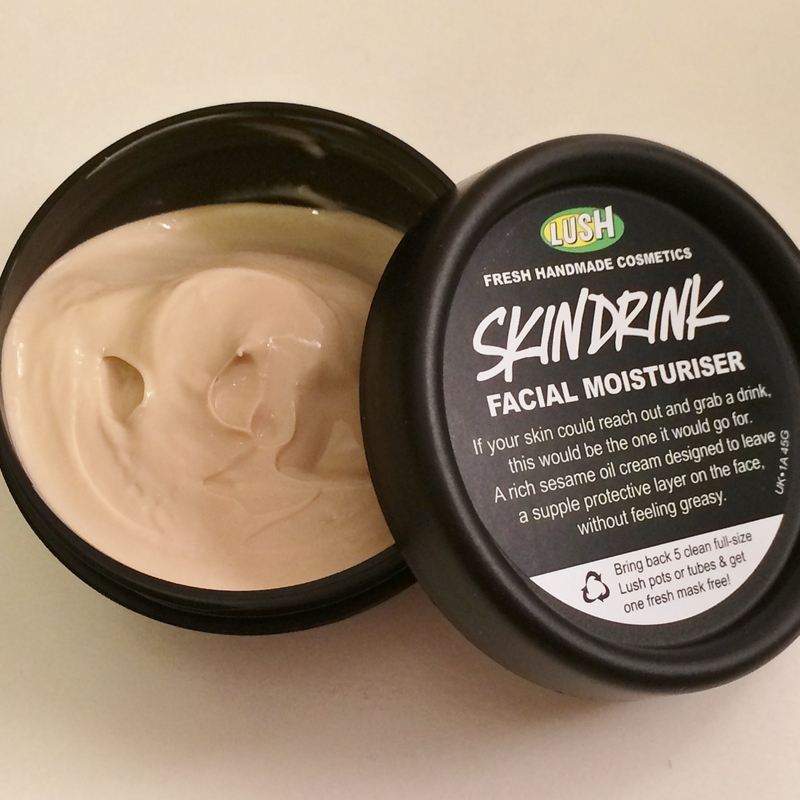 My skins new best friend is LUSH’s Skin Drink as you may have seen from this post. However in the evening I swap the moisturiser for an oil. 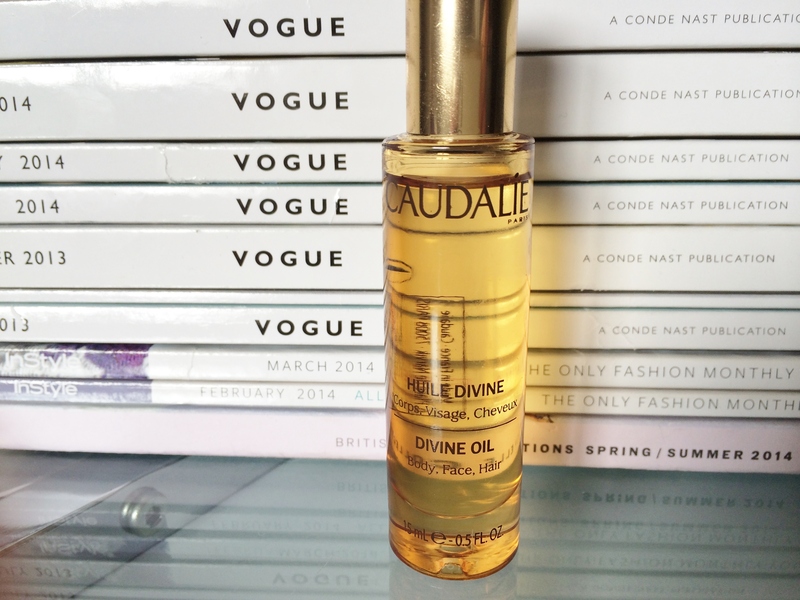 Caudalie Divine Oil is my current fave. It’s so beautiful and definitely lives up to it’s name. Look out for my review next week. I am very, very dubious about any product that claims to eliminate dark circles. For me my disgusting circles are down to pigmentation. Lack of sleep, stress etc have no bearing on their appearance, there is not much that can be done if you have an inherited thin skin that shows the blood vessels. What I have been concerned about is not letting the problem get any worse and preventing shadowing. 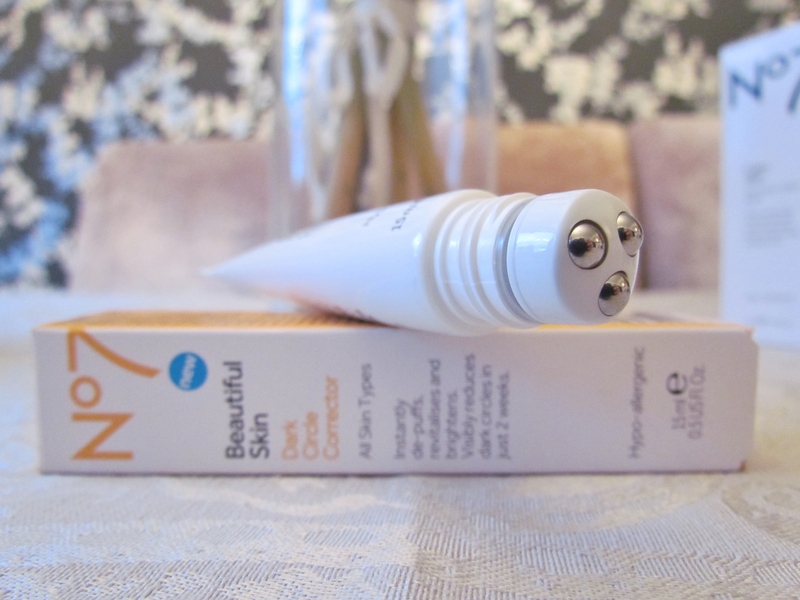 So due another eye cream I wandered into No7 and saw a new product Beautiful Skin Dark Circle Corrector. No7 claim this product will instantly de-puff, revitalise, brighten and reduce dark circles in just 2 weeks. Again look out for a review soon. 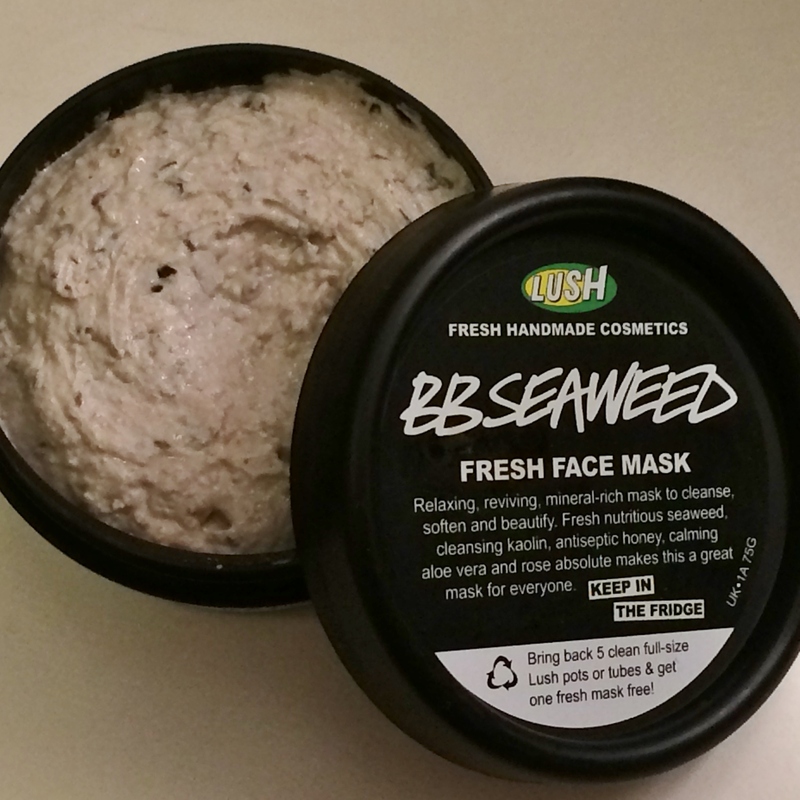 I have been using LUSH face packs three times a week with great results. I am currently using BB Seaweed (review coming soon) twice a week and Oatifix once a week. Wow. Okay and I look forward to your post. I did a post on Oil Cleansing Method! It really did ‘shrink’ my pores after removing the dirt off my face!